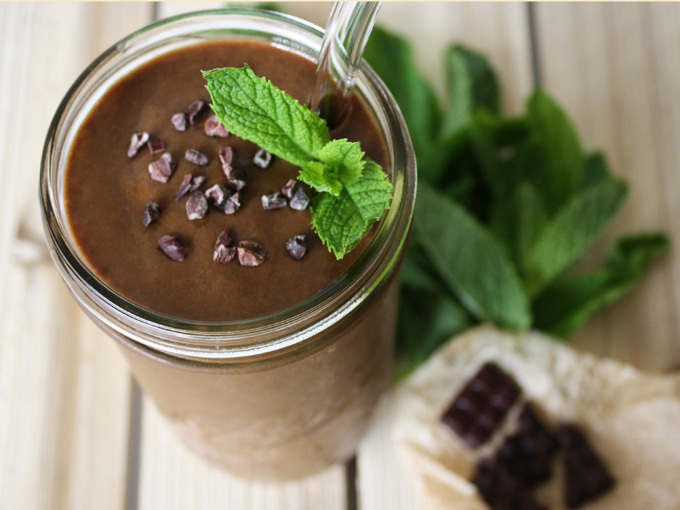 Mint chocolate lovers rejoice! 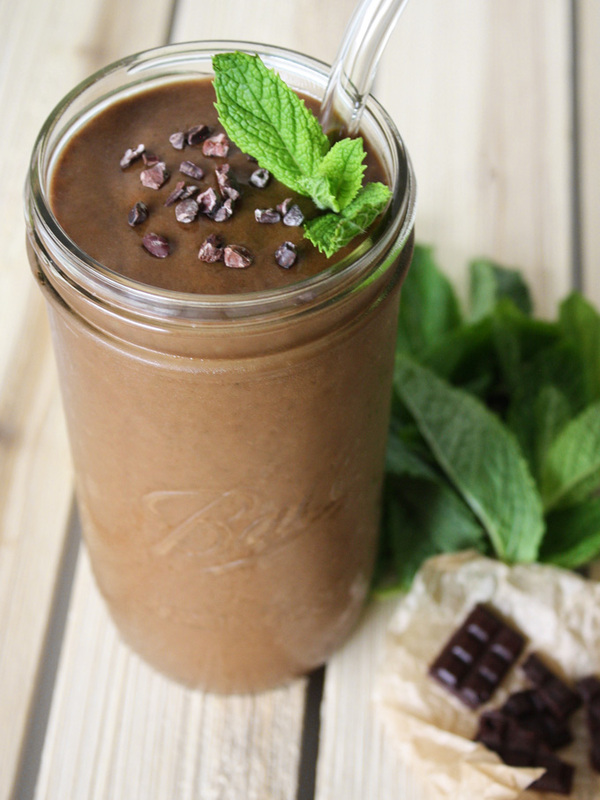 This raw vegan, mint chocolate smoothie will give you the healthier “Thin Mint” or “Peppermint Pattie” fix without the white sugar or the additives. This smoothie is loaded with anti-oxidants from the raw cacao powder and is packed with vitamins and minerals from the bananas and dates. With it’s bright, fresh mint flavor, it makes a perfectly refreshing smoothie to start your day. Plus, mint’s soothing quality in the stomach makes it great after a workout too! Well, it is a smoothie recipe so you guessed it, all you have to do is add all of the ingredients into the blender and blend until smooth. It is hard to recreate the strong vibrant mint flavor you get in commercial mint chocolate products by only using fresh mint leaves, so a little dash of peppermint extract gives it a boost. 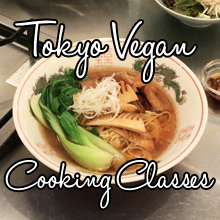 Plus, if you love the peppermint flavor, it is great to have in your pantry. Once the smoothie is ready, pour it into a glass and top it with some cacao nibs and enjoy! Blend all of the ingredients except the cacao nibs in the blender until smooth. Pour it into a glass and top it with some cacao nibs.